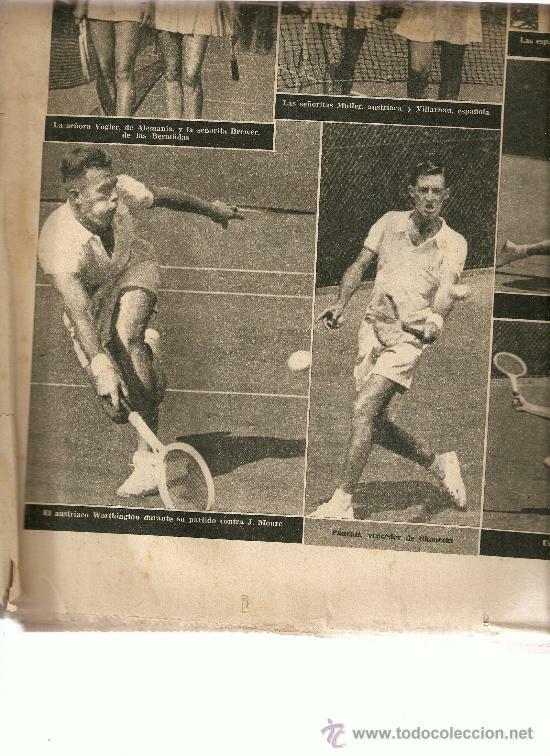 LA VANGUARDIA MAYO 1955.TENIS.CONDE DE GODO. EN LA PAGINA DE CONTRAPORTADA EN UN ESQUINA ,UN ROTO. EL DIARIO MAS LEIDO DE CATALUNA DONDE DESTACA:UN BUEN REPORTAJE EN LA PORTADA DEL DIARIO DEL DESARROLLO DEL TROFEO DE TENIS CONDE DE GODO DE LA CIUDAD CONDAL.CONSTA DE UNA INFORMACION COMENTARIO EXPLICANDO EL DESARROLLO DE LOS PARTIDOS Y LA MARCHA DEL TORNEO Y SITE FOTOS DE LOS TENISTAS DURANTE LOS PARTIDOS EN LA PORTADA DEL DIARIO. LA VANGUARDIA MAYO 1955.PROCURADORES.TENIS CONDE GODO.UROLOGIA.FALANGE.BISCUTER. Hora oficial TC: 20:31:15 TR: 234 ms.